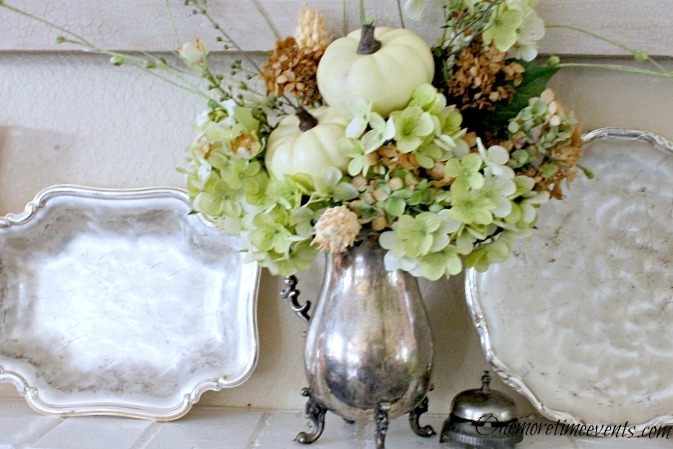 :: Easy Fall Mantel Decorations with Silver and Mercury Glass ~ a How-to :: Today, the home décor team from OneMoreTimeEvents.com is taking Fall mantel decorations more serious than ever. 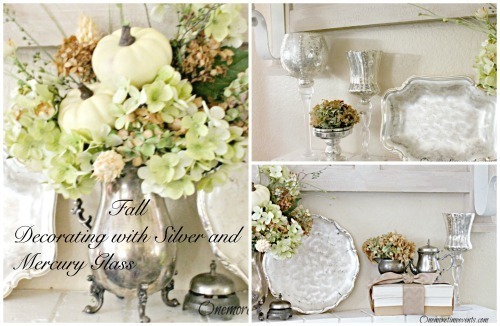 Tammy and her mom are mixing real and faux silver items such as mercury glass in their fall décor on the mantel. 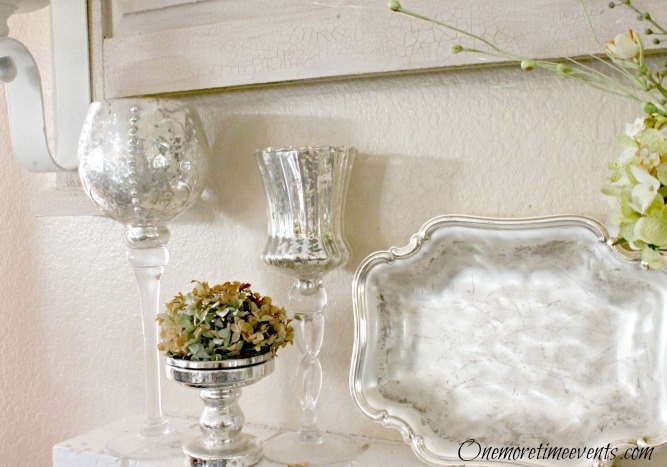 Use store bought or DIY mercury glass in tablescape, on mantels or in decorative bowls. They are placed alongside Fall inspired vases filled with ornamental faux pumpkins and hydrangeas. Mercury glass is both glassy and classy, and combined with real silver gives a sophisticated elegance to a room. Copy Tammy & team’s ideas for easy fall mantel decorations and see if you too can bring some Fall elegance into your everyday décor. 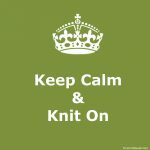 It has been two weeks since I shared here at the Fine Craft Guild and happy to be back to bring you some more decorating ideas. 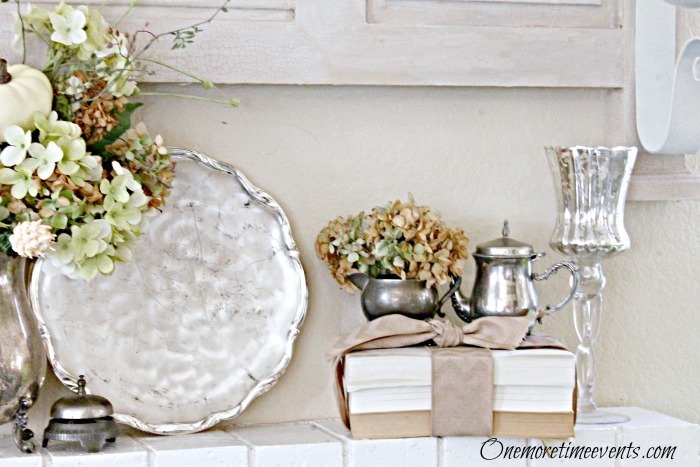 Over at One More Time Events, I shared parts of how I decorated my mantel for Fall. 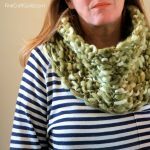 Today here at the Fine Craft Guild, I am sharing how I added to it and completed it with some additional touches to bring out the full effect of Fall. As always, I am to reuse and reuse. Here I am using what I had. 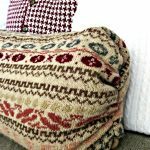 Let me show you how I incorporated it to create a one-of-a-kind Fall setting. 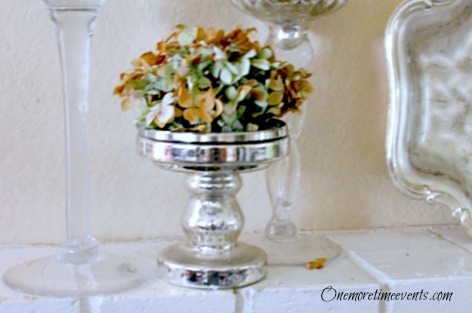 Starting in the center of the mantel, I placed a Silver Pitcher filled with some faux and real (Hydrangeas from my yard). I placed a couple of pumpkins into the centerpiece. While carrying out the silver in the pitcher, I added brushed silver trays to each side of the pitcher. For some added interest, an antique service bell was mixed into the arrangement. On each side of the centerpiece I used some Mercury glass goblet Candle sticks. Using the Mercury glass not only accents the silvers in place but with the gold tones it brings out the colors of fall. To carry out the colors and keeping balance within the setting of hydrangeas a small head of hydrangea’s was placed on a mercury glass candle stick holder. Tammy & her team enjoy the challenge of reinventing her décor. She’s great at figuring out how to make something out of ‘nothing’. To her, ‘left-overs’ have a purpose. 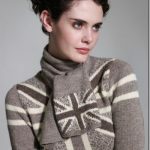 She has an urge to recycle |reuse | revamp | redecorate | remodel. And she does so, creatively, beautifully and naturally. Her works shows her love for decorating. Tammy used to own a retail scrapbooking business and her blog is that ‘One More Time’ love affair with the creative world. 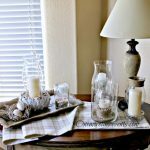 While her emphasis at ‘One More Time’ blog is on decorating, at the Fine Craft Guild, she shares her how-to’s and gives us more than a little peak on how things are put together. And yes, all of these beautiful photos above are all hers! She works together with her mom to realize her beautiful photos and get projects organized. 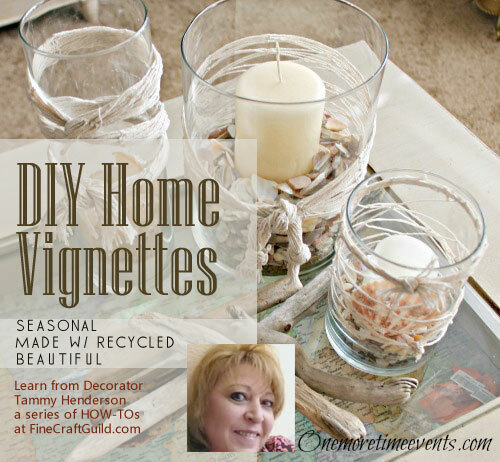 Visit their blog http://www.onemoretimeevents.com, for more decorating ideas and projects. 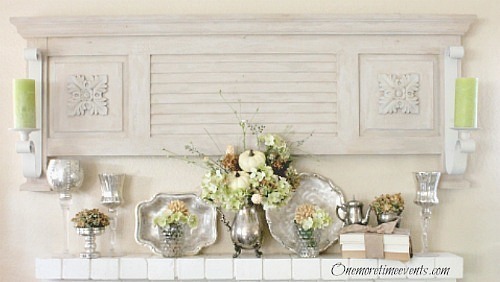 Your mantel is so pretty with silver and all your embellishments. Guess I’d need to go digging for my silver plate plates and platters, bowls. They need polishing something awful. I did couple containers faux mercury glass so can use those also. I love how your mantel is with the wood and lights above mantel. We don’t have mantel, we have a shutter shelf we made last year I put an old window on it and decorate different ways for holidays and seasons. Sometimes I use old wood shutters. Great post. 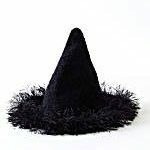 Happy week and Halloween.